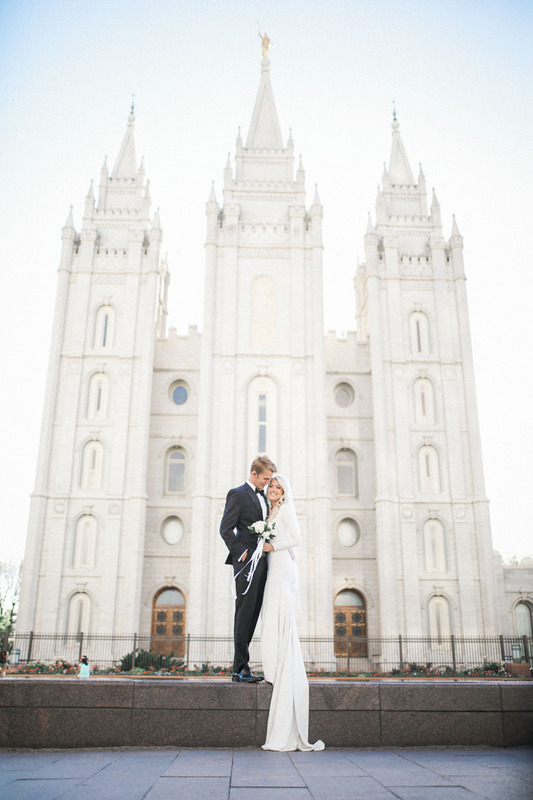 Every Year couples from all over the world come to be married in the Salt Lake Temple in Utah. 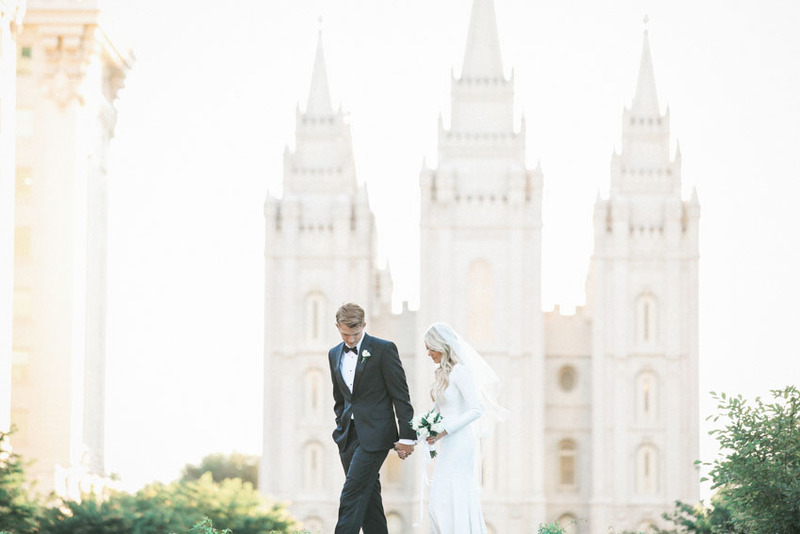 The Salt Lake Temple, situated in downtown Salt Lake City makes for the perfect wedding location. 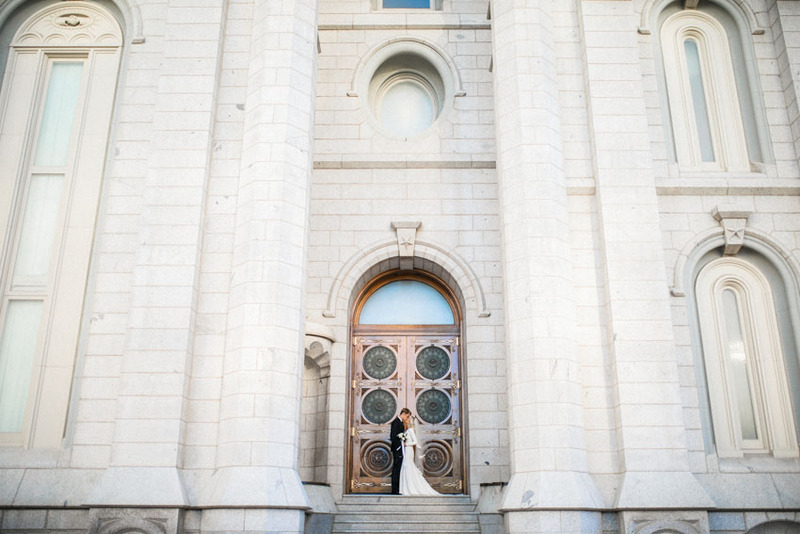 There are temples all around the state, and the world, but the Salt Lake temple has a unique draw. 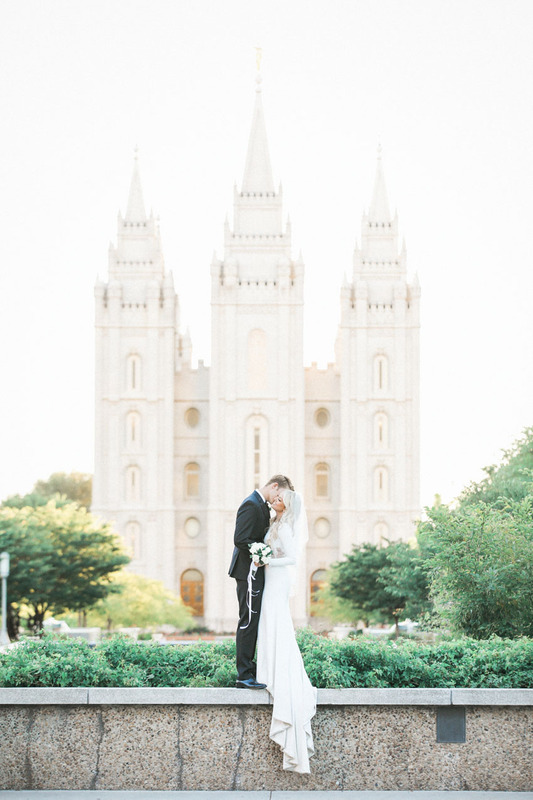 Although the SLC temple is not the oldest, it was one of the first completed by the church, and is definitely the most grand. The temple grounds are stunning, as are the grounds around the church office buildings and Joseph Smith Memorial building. 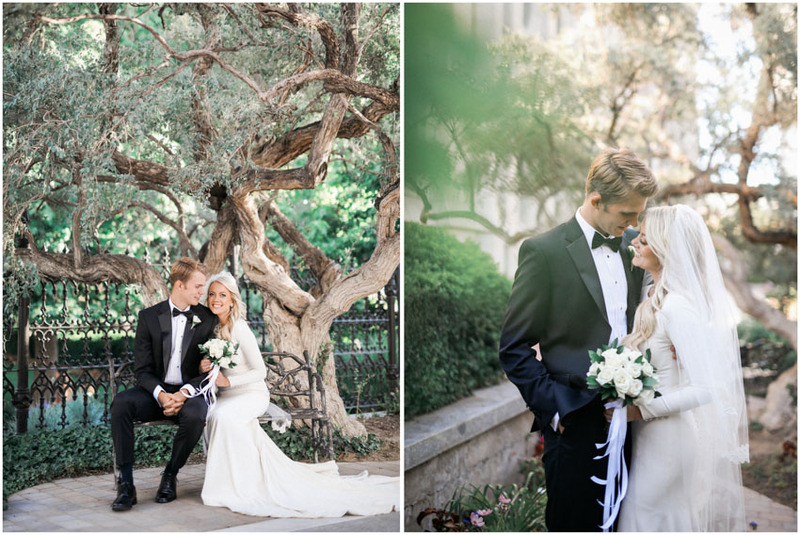 When getting married in the temple, its important to first note that Photography is not permitted inside of the temple. The wedding ceremony also known as a sealing happens inside the temple. These sealings are seen as sacred, and private. 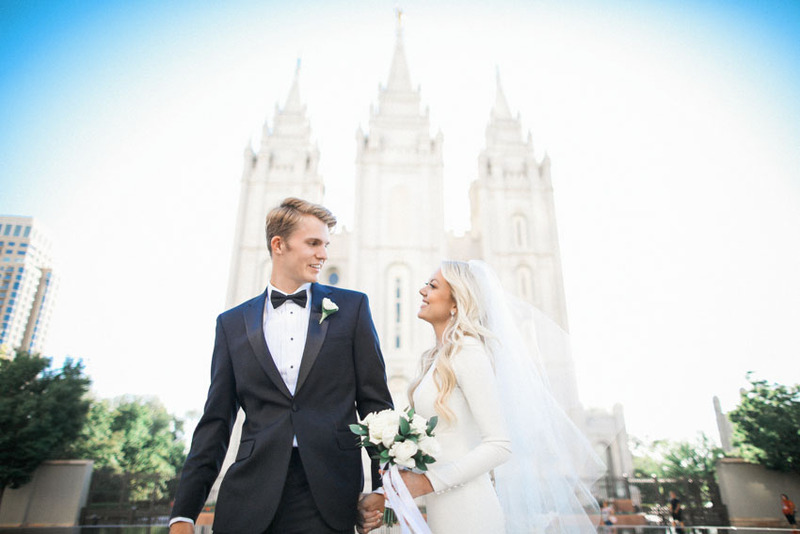 How Long is the Temple Sealing? 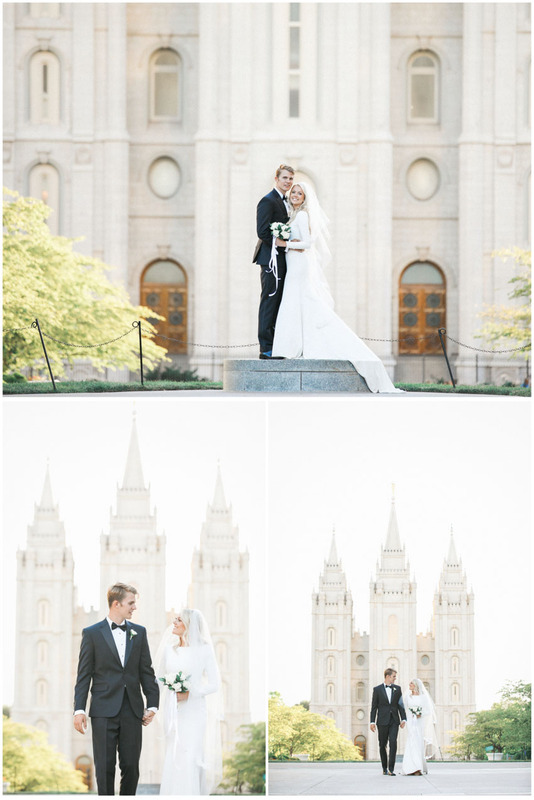 The first photos of the newly married couple will happen when they first come out of the temple. All those attending the sealing will have been a part of the ceremony inside. Very often though, the rest of the guests won’t see the happy couple until they make their exit. As a photographer, this is typically where I will wait. A temple sealing can take between 30 and 60 minutes. 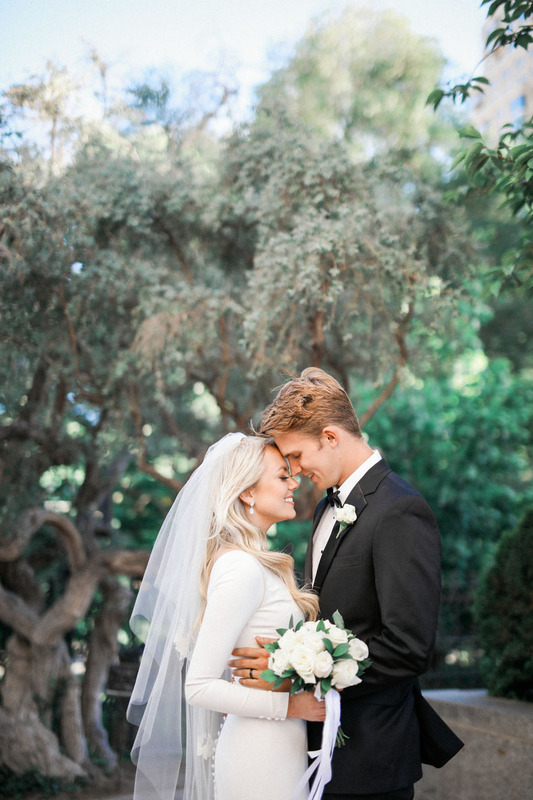 When the couple is ready to come out of the temple, I will first greet them to instruct them on coming out to greet their guests. Crowds can be a big issue at the temple, so I always try to advise our group to move quickly after the exit to where we will be doing photos. 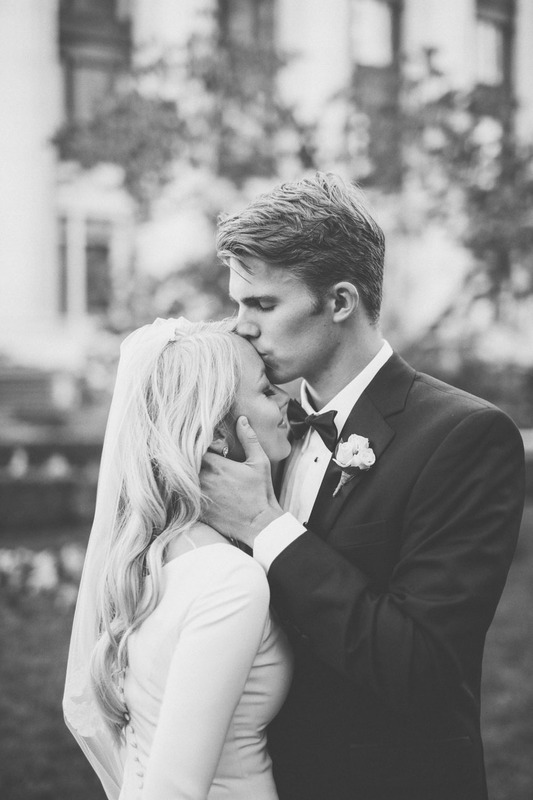 It can often take an hour or more for the couple to come out after their sealing starts. I typically arrive about 30 minutes early, and I make the same suggestion to all guests. There are times that the sealing can be short and the couple can come out sooner. Most people like to do family photos on the stairs. Depending on the time of day and lighting, the stairs can be very crowded. Its good to know that there are times that we can wait 30 minutes for stairs to open up. I photograph family photos very efficiently and quickly. There are however, some less experienced photographers that can be very slow and disorganized taking group shots on the stairs. I will often take many of the small group photos in locations other then the stairs while we are waiting. 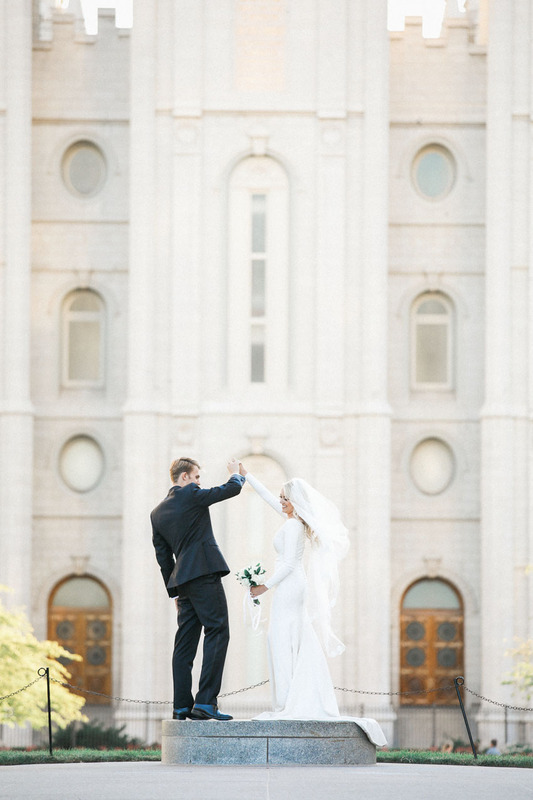 Its important to make the most out of the time that we have at the temple. Just remember to stay patient, and let your group know ahead of time that waiting might be something we run into. Its also a good idea to keep this in mind when planning your luncheon time.